• A startup CD/DVD disc. 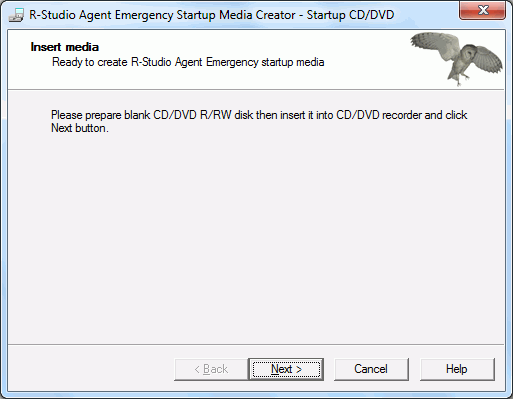 You may create an ISO image, or write the disc directly from R-Studio Emergency Startup Media Creator , if there is a CD/DVD recorder in your system. 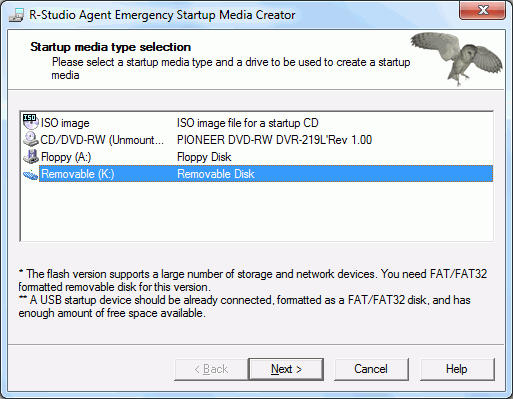 • A startup FAT/FAT32 removable device recognized by your system as a bootable one. The total available size of the device should be more than 10 MB. Check the Hardware Compatibility List . click the Next button to see the list of all devices on which startup disks may be created. 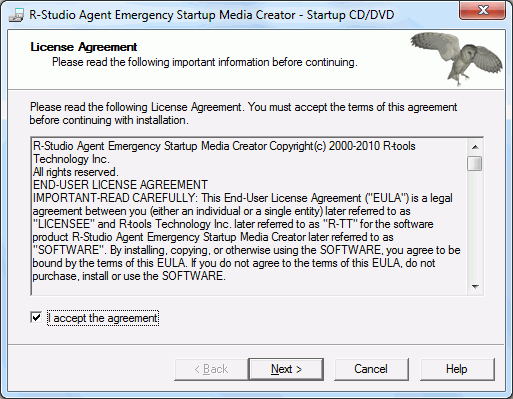 Note : You should enter the registration key of R-Studio Agent , not R-Studio itself. You may either exit R-Studio Emergency Startup Media Creator by clicking the Finish button or create another startup media by clicking the Back button . 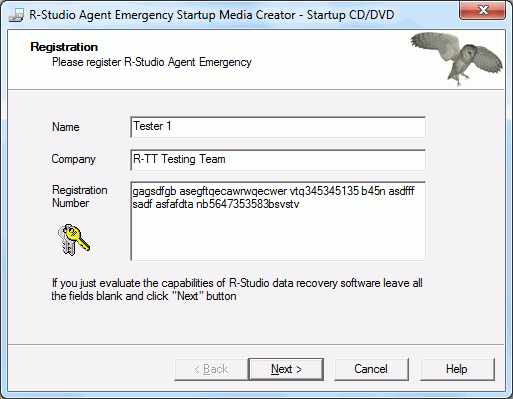 if you do not enter the registration key, R-Studio Agent Emergency will work in the Demo mode. 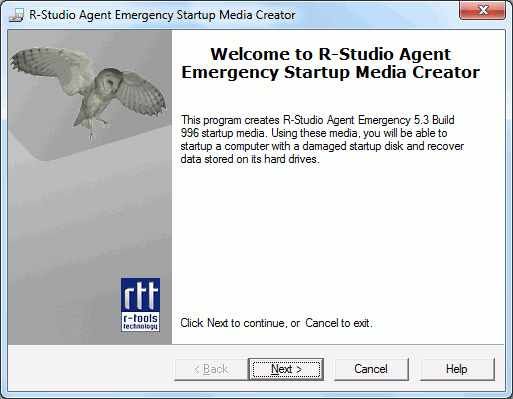 You may enter the key later when R-Studio Agent Emergency and R-Studio establish a connection. 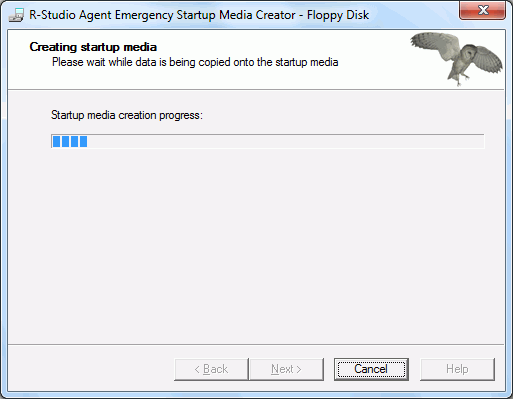 You may either exit R-Studio Bootable Startup Media Creator by clicking the Finish button or create another startup media by clicking the Back button. 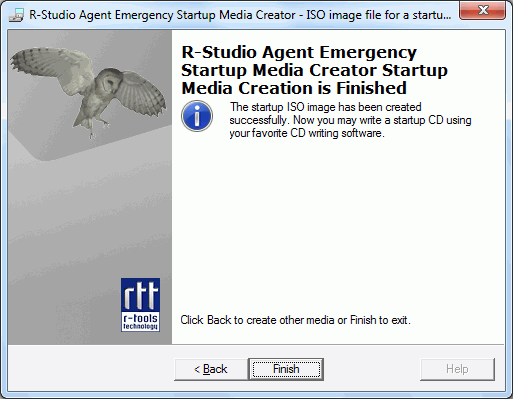 Load the created ISO image into the CD/DVD creation software. Consult documentation for the software for details. You will need 4 formatted floppy disks. Do it with the next 2 floppy disks. > When R-Studio Startup Media Creator finishes creating the startup floppy disk, the R-Studio Agent Emergency Startup Media Creation is Finished message will appear. 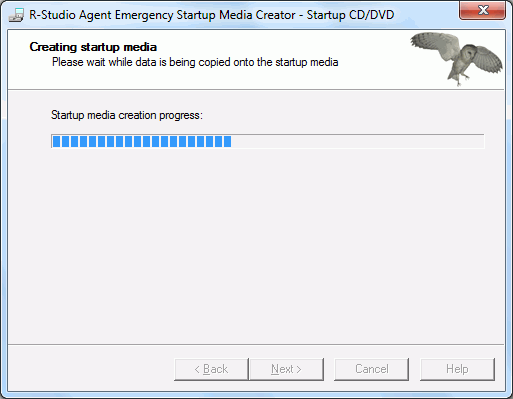 You may either exit R-Studio Startup Media Creator by clicking the Finish button or create another startup media by clicking the Back button.